Everyday, I receive emails, LinkedIn smail (spam mail), texts and/or Facebook messages from people looking for resume help. I typically don’t respond to them — not because I don’t want to help but because they’re not listening to me when I tell them that any resume I create is NOT going to get them a job. And, let me be straight, it’s not because I’m not good at fabricating bullet points for them. The reason upgrading their resume isn’t going to work is because it’s not a resume that scores you a job. It’s relationships. 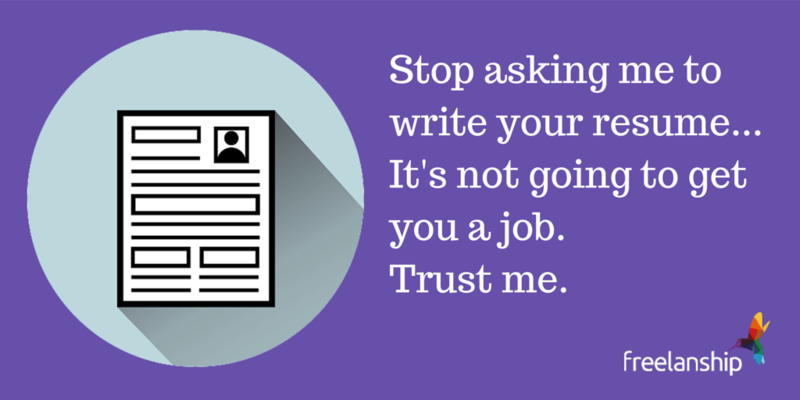 Today, I’m going to detail how you can land a job, and it does NOT involve me (or you) writing or editing your resume. What it does involve is learning how to navigate your email inbox and woo your way into hiring managers’ (or their bosses’). 1. Correctly set up your email account. Duh! This is what you’re probably thinking. Alright, alright, those are extreme examples, but they’re not far off, and they’re actually REAL humans — not spam bots. Here’s my setup tips. Read them. I bet there’s something you forgot! Choose Gmail. Always. The only exception to this rule is if you have your own professional domain name that you can use. When I say domain name I mean, for example, lauren@domain.com. Keep it short and spare the numbers. If you’re creating your email address for the first time and you can use your own domain name, then keep it short. For example, create lauren@domain.com or lah@domain.com instead of lauren.holliday@domain.com. Also, don’t include numbers. That looks spammy. You need an email address you own. DON’T depend on your school email address. When emailing professionals in your field or people you may want to talk to in the future, use your own gmail or domain email address. Remember, you won’t be in college forever — hopefully. Bookmark your compose box. Great hack right here. Make it quick and easy to write an email by bookmarking your gmail compose box. For multiple emails, utilize a mail provider. If you have multiple email accounts to manage then download a mail client. I preferMailbox, but there are more — here’s a list for Mac and one for Windows. Productivity Setup: Make Your Inbox Work for You. This is the prettiest email signature solution. Not only is it a better looking option but it is also easy to switch signatures between email accounts. Yesware reports email opens, link clicks and file attachment downloads. This is valuable because it lets you know if you should follow up with someone or not and when, if you should. It also has a template feature many of you could use. Let’s say you’re applying to jobs, and you’re finding that you’re saying basically the same thing every time you email hiring managers. Write and save a template in Yesware then just personalize it from now on. That could knock off a lot of time for you. Crystal isn’t kidding when it claims to be the biggest improvement to email since spell check. 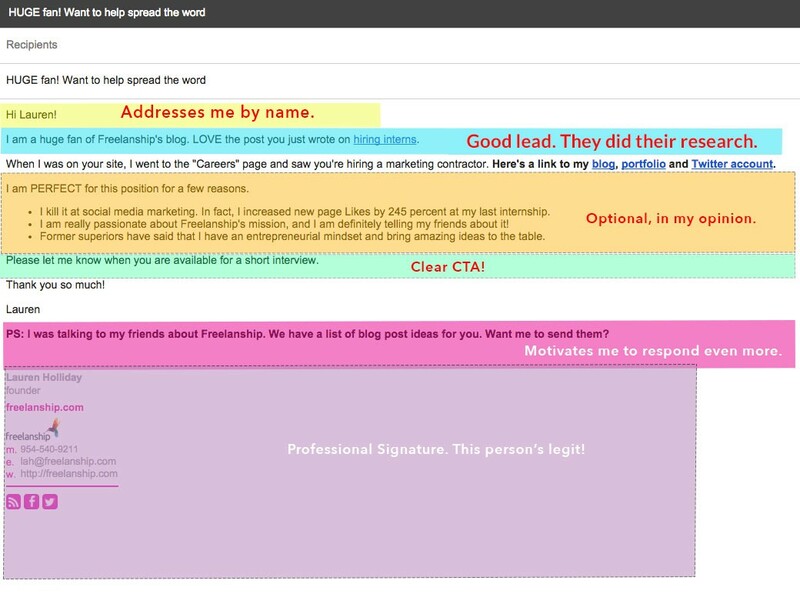 This email extension creates unique personality profiles for every person with an online presence, prepping you to speak or write in someone else’s natural, communication style. Crystal not only makes recommendations on which words you should use, but it even generates email templates based on the person you’re communicating with. A LOT of emails are being tracked for clicks and opens. Use Ugly Email, a free gmail extension that tells you when an email is being tracked before you open it. This circumvents problems like opening an email and then not responding or opening the email 75 million times, which makes you look unproductive. If you want to know other email tools I love check out this article. 2: Learn How to Write a Damn Good Email. According to Mindtools, the average office worker receives around 80 emails each day. The perfect email is short, easily scannable and includes a very clear call-to-action (CTA). A damn good email looks good. A damn good email is easy to scan. If you forget any of my tips, don’t forget this one!!! Make your email easily scannable. That means break up paragraphs into one sentence — two, if you must. A damn good email utilizes rich text. By this I mean utilize bold text, italics, and bullet points. This helps make your email easily scannable. Sometimes I even change important text’s color to red or highlight important sentences in bright yellow. A damn good email is timed perfectly. Send or schedule (if you use Yesware), your emails at optimal times. Think about it for a second. The best time to send a job request/application is most likely not at 1 a.m. on a Saturday night/morning. Monday probably isn’t good either because professionals will be busy playing catch up. I recommend sending between Tuesday and Thursday, in the morning or afternoon, say between 9 a.m. and 1 p.m.
A damn good email has specific elements. Here are the elements of a damn good email. The goal of your subject line is to drive the person you want to read your email to, well, open it to read the damn thing. I like to do this by complimenting the receiver in the subject line and letting them know that I want to provide value to them. See how I did this in the fictitious example above to myself? I told them I was a HUGE fan then preceded to tell them I wanted to HELP them do something. Lead: The lead is supposed to make the reader keep reading. Make it good. Body: Remember, keep it short and easily scannable. CTA: Tell them what you want them to do. PS: Motivate them to write you back. Signature: Keep it short, and include important links for them to learn more about you. 3. Send your damn good email. A mentor once told me to send 50 emails per week to get what I wanted, and our advisor, said he used to send as many as 300 per week to get generate new business. Emails are how you get what you want from someone you don’t know, i.e. hiring managers. Here’s what you got to do. Send 25 emails per week to be exact. Yes, 25. That isn’t a lot so I don’t feel bad assigning you that many. You may say: But, Lauren, there are not 25 jobs posted that I want. And I’ll say: But, Jimmy, that does not matter at all. According to ABC, 80 percent of jobs are landed through networking. Emailing allows you to network with people across the nation, not just those professionals in your city; therefore, if you want a job in NY but live in Idaho, you can simply shoot off an email introducing yourself to someone you admire in New York. The goal is to fortify a relationship with someone BEFORE you need to ASK them for something. Reread the email before you send. I HATE following up because the last thing I ever want to be to someone I want something from is annoying. But guess what?! I do. Because if you don’t ask for what you want then you’ll never get what you want, and sometimes you have to ask for it multiple times. Too many of you give up too easily. What if a hiring manager only responded to those who had enough gumption to write a follow up to her lack of response the first time? It could happen. I’m sure there’s a manager out there that does this although I’m also sure that it’s rare. Tips for following up a damn good email. Follow up four days after you send the first email. Keep the follow up shorter. Give them a way to politely reject you. Include the subject of the original email and the outcome you want from this email. Include the request or “ask” again. Request they delegate the task/response to someone else. Neil Patel recommends the template I took a screenshot of and copied below. Here’s a few templates from this post on The Muse. Here’s an example from when I followed up after a hiring manager had me complete an assignment, but then didn’t follow up with me within a week, as he promised. Basically, just remember keep follow up emails short and to the point and don’t forget to provide alternatives for the receiver. Alternatives could include something like them delegating what you want to someone else. This way you always get what you want — a response. This is how you get a job, my friends, — by creating relationships with people. I don’t receive job offers on the reg because I’ve sent this perfectly concocted resume to millions of hiring managers. Job offers come to me because I’ve invested the time to build a strong, helpful network of influential individuals in my field. Get the skinny on careers, marketing and the occasional rant.